Many countries throughout the world have consumed salted and cured pork throughout history. Bacon has many different styles internationally and a few manufacturers today have taken this extensive history and turned bacon into a masterpiece of culinary flavors. When we look towards the past and the first mentions of bacon, the word actually comes from a saxon word that originated near the first millennium AD. Bacoun was the original spelling for the word and this wasn’t always the phrase that would refer to cured cut pork. Although it took up until the 11th century for the idea of bacon to be widespread butchers were beginning to cut pork belly, and loin in the same way that we cut bacon today as well as begin to breed animals who could produce tastier meat in these areas. In the 12th century Bacon became more of a breakfast staple especially in England. Around this time we started to hear the phrase “bring home the bacon” which was originally a grand metaphor for a healthy marriage but has since evolved into a term for bringing home income to family. Although Bacon quickly became a staple of breakfast foods it wasn’t until the 18th century that people began to produce and cure bacon in the same manner that we enjoy it today. The quality of bacon improved through the 18th and 19th century until the industrial revolution in which the recipe for bacon turned into a more traditionalized manufacturing process. Today bacon has evolved into a variety of different types. We can get low-sodium bacon, smoked bacon, dry cured bacon and more. 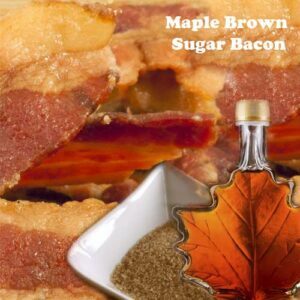 Although the history of bacon is lengthy there are new manufacturers that are taking Bacon to the next level as well. Gourmet Bacon jerky is actually making bacon a portable snack that we can enjoy anywhere and without using a frying pan. When it comes to finding the best bacon jerky you should strongly consider visiting the Jeffs Famous Jerky website. 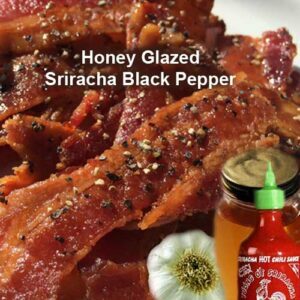 Their Bacon Jerky takes the history of bacon and packs all the flavor into a portable bite sized snack that all bacon lovers are bound to enjoy!